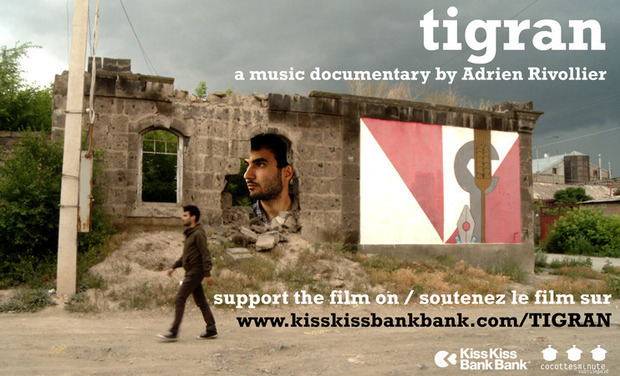 Support the first ever documentary on pianist Tigran Hamasyan! The story of an obsession – a young man’s obsession with music. 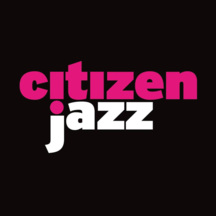 Tigran Hamasyan, 26 years old, is one of the most promising new jazz talents of recent memory. This film will explore the pianist’s creative process in its most minute detail. Because Tigran’s music is all these influences at once. And this music speaks to us of the need we have to understand where we come from in this world where all the cultures communicate between one another. And in this way, this music is marked by its universality. 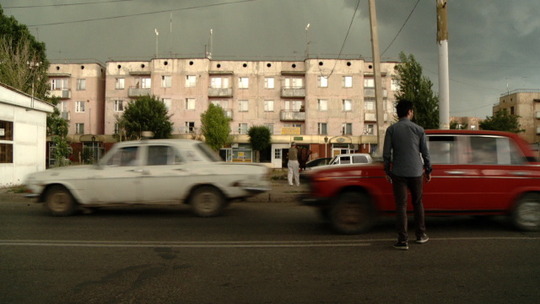 This will be the first documentary film devoted to Tigran Hamasyan. This 52-minute film will be shown in France and abroad, on television (Mezzo and Lyon Capitale TV), at international festivals, and available on DVD. In parallel to my work with documentary films, music in the form of jazz piano has been a key part of my life since my earliest childhood. In 2008, at the Sunset Club in Paris, I met this exceptional musician, radically different from any other I had listened to or studied. Exceptional by the impact that this musical UFO had on the jazz that I’ve always known, but also because of his complex, radical personality. 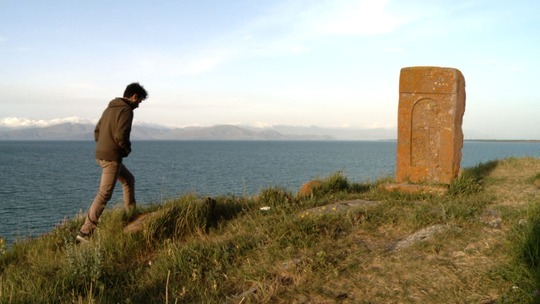 At the Sunset that night, Tigran Hamasyan offered up music that took elements from pop, rock, even heavy metal, while never straying far from his native Armenia’s folk music. A folk music whose melodies are simple, modal, but also powerful and poetic. It was no longer jazz, it was something far greater. Where does this music come from? What did Tigran feed on for many years to reach this musical statement? What struck me most during this scouting, and will underscore my film, is Tigran’s obsession with music -- listening to it, playing it, writing it, dreaming of it… always and everywhere. Music is always there in his head. So that when he visits the Archaeological Museum of his native Gumri, or a painter’s studio in Erevan, or a 3rd century Armenian church, all of these places are feeding his hunger for his roots, and thus his music, taking part in his work, and nourishing his fruitful obsession. It’s this Tigran in its entirety that I’d like to share in the film. Through an artful documentary approach, I would like to convey through images and music all that goes on in the head of this most unique pianist. 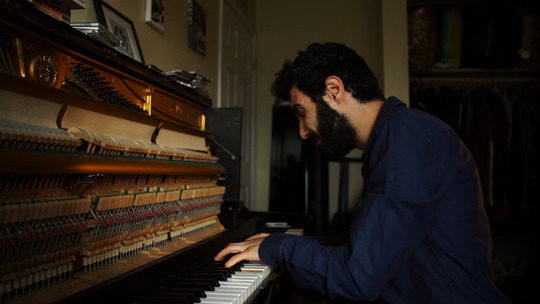 At home in Los Angeles, Tigran playing an extract of his song "The Court Jester" on his piano he detuned for some of his upcoming compositions. Footage from Tigran's live show in Lyon on 31 January 2014. So far, we are happy to have the support of several partners. Mezzo, the leading musical TV station, which reaches several territories throughout the world, will broadcast the film, earning it an important and assured reception. 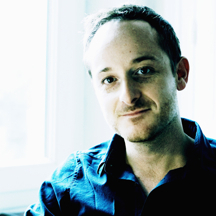 Lyon Capitale TV will be the documentary’s second broadcaster. The Fund for Musical Creation (FCM), the Haute-Normandie Region, and the BNP Paribas Foundation has also offered their support. We have already filmed the Armenian sequences, following Tigran and his grandmother Melanya in Armenia, and especially his native Gumri. The director has also taped many of the sessions for Tigran’s latest album, Shadow Theater, at the La Buissonne studios in France. This film’s production has been conceived to cover a lengthy period, following Tigran over several stages of his life and musical career. High quality post-production work is essential to this film, we will be shooting in several countries, with differences in lighting and countrysides. Color balancing will give the film a visual unity. As to editing and sound mixing, since the film is about music and includes several live recordings, we must be absolutely demanding. If we surpass the 12 000 euros goal, we will use those funds for additional shooting. So thank you in advance, kissbanker friends, for your attention and encouragement, and to those of you who have contributed financially to this project that we have worked on with such enthusiasm and passion. A big thank you and a shooting pic of the film. A big thank you, a postcard of the film and your name in the credits. A big thank you, a postcard of the film, your name in the credits and an invitation to the movie premiere in Paris, Vienne ("Jazz à Vienne fait son cinéma") or Rouen. A big thank you, all the previous rewards + a DVD of the movie. A big BIG thank you, all the previous rewards + a bonus video of Tigran performing one of his compositions. A big BIG thank you, all the previous rewards + a bonus video of Tigran performing one of his compositions, autographed by film director Adrien Rivollier . You are a festival, an association, a movie theater and you want to project the film? Get a special assignment of rights for free public screening. A HUGE thank you, all the previous rewards + an exlusive video of Tigran performing “in his own way” a song of your choice, shot by film director Adrien Rivollier.